A recent Court of Justice of the European Union opinion in Monsanto Technology LLC v. Cefetra BV et al.1 may unintentionally inflict serious economic harm on the European biotechnology industry. In its ruling, the European Court of Justice (ECJ) interpreted Directive 98/44/EC (the “Directive”) in the context of patent infringement as requiring functionality for there to be infringement of important types of claims. The ECJ reasoned that patent claims covering isolated DNA or transgenic products that contain the patented DNA cannot be infringed if the DNA is not functional at the time of alleged infringement. As a result of the ECJ decision, there is a significant risk that countless biotechnology products are not protected by enforceable patent claims. An accused infringer, for example, could deny infringement by simply asserting that the patented polynucleotide or gene does not perform its function at the time of alleged infringement. Because many genes are only temporarily functional, or functional only in some tissues or organs, or have many functions, this defense may have merit. Furthermore, the opinion’s impact may extend far beyond a narrow conception of the biotechnology industry. For example, the viability of patents claiming isolated DNA or RNA sequences used as reagents – including reagents used in diagnostic methods such as gene tests and DNA chips – are now in jeopardy. The ECJ decision is surprising because Article 9 of the Directive, which was an important basis for the ECJ’s ruling, was intended to define what constitutes patentable subject matter when the claims in question cover living and replicating organisms. Article 9 was not intended to define the scope of enforceable rights in the context of alleged patent infringement. We believe that, in the context of patent infringement, so long as the patented genetic information is present in the commercial product, its activity at the time of commercialization is immaterial. We propose steps the biotechnology industry in Europe and the U.S. might take to remedy the serious consequences of the ECJ ruling including legislation and World Trade Organization litigation. In the meantime, intellectual property owners should immediately review their portfolios with an eye toward obtaining additional protection that is not affected by the ECJ’s decision. Utility patent claims, for example, covering products with unique characteristics, have always been important but now have increased significance in view of the opinion, as do method claims. Plant biotechnology companies also should obtain Plant Breeder’s Rights for important plant varieties to protect harvested material and products made from harvested material. The dispute underlying the ECJ’s opinion and its interpretation of Directive 98/44/EC arose from importation into Europe of soybean meal made from Argentinean plants engineered to express a herbicide resistance gene. As explained below, Monsanto had obtained European patent protection covering a gene that conferred resistance to the herbicide glyphosate but could not secure equivalent patent protection in Argentina. After harvest, soybean oil was solvent-extracted from the seeds at high temperatures. The remaining solid matter, the soybean meal, was then imported into Europe. Due to the harsh conditions used in the solvent-extraction process, soybean meal does not contain living plant cells. It does, however, contain protein, DNA, and other cellular components. Thus, if the imported soybean meal was made from glyphosate tolerant soybeans, the claimed herbicide-resistance gene may be detectable in the imported soybean meal. This gene, 5-enolpyruvylshikimate-3-phosphate synthase (“EPSPS”), makes plants tolerant to the well-known herbicide glyphosate (Roundup®), which is widely used to kill numerous weeds, grasses, and woody plants. In 1996, Monsanto obtained a European patent covering methods of making plants resistant to glyphosate by making plant cells express the EPSPS gene. That patent, EP 0 546 090, (“the ‘090 patent”) describes the original isolation and cloning of DNA that encodes the EPSPS protein from bacteria and how to transform plant cells with the EPSPS gene to make glyphosate tolerant plant cells and plants. Monsanto’s patent gave them proprietary exclusivity over (1) isolated DNA encoding EPSPS, (2) a method of producing a genetically transformed plant which tolerates the herbicide glyphosate by making a transgenic plant cell containing the EPSPS gene, (3) glyphosate-tolerant plant cells and plants, and (4) a method of controlling weeds in a field by applying glyphosate to a crop and weeds in a field containing a crop that has been transformed with the EPSPS gene and is therefore glyphosate-tolerant. Importantly, the ‘090 patent did not expressly contain claims directed to a method of making soybean meal from glyphosate-tolerant plants. Because Monsanto had no patent rights to their EPSPS glyphosate tolerance technology in Argentina, the company decided to enforce its ‘090 patent in Europe. Monsanto sued European importers of soybean meal coming from Argentina in Spain, the United Kingdom, Denmark, and Holland. The Danish case has not been decided. Monsanto sued Sesostris SAE for patent infringement in Spain alleging that the importation from Argentina of soybean meal containing the EPSPS gene infringed claims in a Spanish patent based on the ‘090 patent. In 2007, the Commercial Court in Madrid held there was no patent infringement.2 The Spanish Court concluded that Directive 98/44/EC was applicable. Furthermore, the Spanish Court held that pursuant to provisions of Directive 98/44/EC, including Article 93 , a product does not infringe a patent claiming genetic material even if the accused product contains the patented genetic material, as long as the genetic material does not have the capacity to perform its intended function in the accused product. The Spanish Court held that the invention is not the DNA sequence but the function it performs.4 Monsanto has appealed the decision of the Commercial Court in Madrid. In the UK, Monsanto sued Cargill for patent infringement, alleging that Cargill’s importation of soybean meal containing the EPSPS gene from Argentina infringed claims in a United Kingdom patent based on the ‘090 patent. In contrast to the Spanish Commercial Court, the High Court of Justice held that Directive 98/44/EC was not applicable to the ‘090 patent’s United Kingdom counterpart because the patent application was filed before July 28, 2000. The High Court of Justice also held that there was no infringement of claims to the isolated DNA encoding the EPSPS gene because the gene had been inserted into the plant’s chromosomal DNA. It was the corresponding Dutch litigation, however, that created the present controversy, as discussed in more detail below. Monsanto sued Cefetra et al. and Alfred C. Toepfer International GmbH (ACTI) for patent infringement in the first instance court (Rechtbank) in The Hague. The two cases were joined.5 Following its established pattern, Monsanto alleged that import from Argentina of soybean meal containing the EPSPS gene infringed claims in a Dutch patent based on the ‘090 patent. The Dutch court adopted the reasoning of the UK High Court of Justice and held soybean meal containing the EPSPS gene did not infringe patent claims directed to “isolated” DNA encoding the EPSPS gene. Furthermore, the court held that claims directed to a “method of producing genetically transformed plants which are tolerant toward glyphosate herbicide . . .“ were not infringed because the substantial additional steps of crushing, extraction and treatment to make soybean meal resulted in a product that was not directly obtained from the patented method. The parties to the Dutch litigation disagreed about the scope and interpretation of Directive 98/44/EC and, in particular, whether Article 9 was applicable. Because a question arose concerning how to interpret Article 9 of the Directive, the court elected to stay the patent infringement litigation and referred four questions to the ECJ. Question 1: Must Article 9 of Directive 98/44 be interpreted as meaning that the protection provided under that provision can be invoked even in a situation such as that in the present proceedings, in which the product (the DNA sequence) forms part of a material imported into the European Union (soy meal) and does not perform its function at the time of the alleged infringement, but has indeed performed its function (in the soy plant) or would possibly again be able to perform its function after it has been isolated from that material and inserted into the cell of an organism? Question 2: Proceeding on the basis that the DNA sequence described in claim 6 of patent is present in the soy meal imported into the Community by Cefetra and ACTI and that the DNA is incorporated in the soy meal for the purposes of Article 9 of Directive 98/44 and that it does not perform it function therein: does the protection of a patent on biological material as provided for under Directive 98/44, in particular under Article 9 thereof, preclude the national patent legislation from offering (in parallel) absolute protection to the product (the DNA) as such, regardless of whether that DNA performs its function, and must the protection as provided under Article 9 of Directive 98/44 therefore be deemed to be exhaustive in the situation referred to in that provision, in which the product consists in genetic information or contain such information, and the product is incorporated in material which contains the genetic information? Question 3: Does it make any difference for the purposes of answering the previous question, that the patent was applied for and granted (on 19 June 1996) prior to the adoption of Directive 98/44 and that such absolute product protection was granted under national patent legislation prior to adoption of that directive? Question 4: Is it possible, in answering the previous questions, to take into consideration the TRIPS Agreement, in particular Articles 276 and 307 thereof? With regard to Question One, the ECJ held that “[u]nder the system established by Directive 98/44/EC of the European Parliament and of the Council of 6 July 1998 on the legal protection of biotechnological inventions, the protection for a patent relating to a DNA sequence is limited to situations in which the genetic information is currently performing the functions described in the patent. That holds true both as regards the protection of the genetic information as such and as regards the protection of the materials in which that genetic information is contained.” Accordingly, the ECJ interpreted the Directive as effectively incorporating an extraneous functionality element into patent claims to genetic information and products containing that genetic information when infringement of the claims is being determined. With regard to Question 2, the ECJ held that “Directive 98/44 precludes national legislation from offering, in relation to biotechnological inventions, patent protection wider than that provided for under that directive.” The ECJ-imposed functionality requirement, therefore, applies to patent infringement claims in all Member States. With regard to Questions 3 and 4, the ECJ held that the patent grant date does not impact the answers to Questions 1 and 2 and that their ruling on all questions does not conflict with the TRIPS Agreement. On the other hand, Article 9 was intended to limit the scope of the patent right to progeny “in which the genetic information is contained and performs its function.” Because patented genetic information may be a regulatory element or some other non-coding sequence rather than a gene, the drafters used the phrase “performs its function” to more broadly encompass gene expression control technology. The drafters likely knew that genetic information introduced into a transgenic organism might be lost during propagation and not be present in subsequent generations. For example, the transgenic organism might be an open-pollinated plant, in which case some progeny would be expected not to contain the claimed genetic information. Article 9 was intended to limit the scope of patent protection to subsequent generations that contain the introduced genetic information. Clearly, the ECJ’s interpretation of Article 9 in the context of the Monsanto litigation is wrong. In the context of patent infringement, so long as the genetic information is present and capable of performing its function, it should not matter whether the genetic information is active at the time of the alleged infringing act, unless some other claim element requires it. The ECJ’s interpretation of Article 9 would severely undermine patent enforcement for many biotechnology inventions. Many genes are only expressed for a limited time period or in specific tissues in a living organism. The commercial product produced by the transgenic organism may contain the helpful and desired trait conferred by the transgene, such as herbicide resistance, but that gene may not be expressed at the time of the alleged infringing act. For example, under the ECJ’s interpretation of the Directive, a patent claiming a potato plant transformed with a novel gene that provides resistance to the devastating late blight fungus may be granted and is valid, but may not be infringed by importing the claimed potato into Europe. Although the potato that is shipped into Europe contains the patented resistance gene, it is not performing the function described in the patent when the tuber reaches a European port because the potato plant was not planted or growing. It is exceedingly unlikely that the Directive’s drafters intended this counter-intuitive result. Article 27 of the TRIPS Agreement provides in relevant part that “patent rights shall be available and patent rights enjoyable without discrimination to the field of technology and whether products are imported or locally produced.” Yet, as described above, the ECJ’s interpretation of Directive 98/44/EC may weaken patent enforcement for many biotechnology inventions. Most genes do not perform their function all the time and in all tissues. Furthermore, many genes have many “functions.” Thus, denying infringement of a valid claim because a particular activity is not functional at the time of the alleged infringing act significantly undermines the ability of biotechnology companies to enjoy and enforce patent rights. In this regard, therefore, the ECJ’s ruling undermines patent enforcement for a field of technology, biotechnology, in contravention to Article 27 TRIPS. Furthermore, the types of patent claims made difficult to enforce by the ruling, are not included among the inventions that member states may legitimately exclude from patenting according to Articles 27 and 30 TRIPS. See footnotes 6 and 7. Biotechnology companies should immediately undertake a careful review of their options and intellectual property protection strategies. Plant biotechnology companies should give careful attention to obtaining Plant Breeder’s Rights protection pursuant to the International Convention for the Protection of New Varieties of Plants (UPOV). Some countries have adopted UPOV provisions which extend the plant breeder’s rights to harvested material and products made from harvested material. Article 14.2 of the 1991 UPOV Convention extends the plant breeder’s rights to harvested material obtained from the protected variety, and Article 14.3 extends the rights to ”products made directly from harvested material of the protected variety . . . , unless the breeder has had a reasonable opportunity to exercise his right in relation to the said harvested material.” Soybeans and soybean meal would fall within the protection provided by Articles 14.2 and 14.3, respectively. Biotechnology companies also should review utility patent claim strategies. The ECJ’s opinion increases the importance of claims directed to methods of making a product. For example, a method of making soybean meal comprising the steps of harvesting seed from a glyphosate tolerant plant transformed with the EPSPS gene, extracting oil from said seed and recovering the soybean meal, would have been very useful in Monsanto’s effort to prevent import of soybean meal made from seed produced by glyphosate tolerant plants in Argentina. Furthermore, special attention should be given to how the function(s) of any claimed polynucleotides are described in a patent application to increase the likelihood of enforcement. The ECJ’s ruling increases the importance of claims directed to a product that recites the product’s unique characteristics without reference to the genetic material that confers those characteristics. A conventional transgenic product claim might recite a tomato fruit transformed with a gene X which confers trait Y. If gene X is not expressed in the fruit, import of the fruit into an EU member state would not constitute and infringing act according to the ECJ. If a claim to a tomato fruit comprising trait Y is patentable, import of tomato fruit comprising trait Y would constitute an infringing act, even if the gene which controls the trait is not expressed in the fruit. The enforceability of patent claims directed to isolated nucleotides used as reagents, such as reagents in diagnostic methods, are put at significant risk by the ECJ’s opinion. These nucleotides do not perform their function in a reagent vial or kit. Thus, patent claims directed to this subject matter may not be enforceable in view of the ECJ’s judgment. Method claims such as claims to use of a nucleotide in a diagnostic method, have increased importance in view of the opinion. Furthermore, the biotechnology industry should consider seeking political and legislative reversal of the ECJ’s opinion. The US biotechnology industry may want to urge the US government to take action at the WTO because the Directive, as interpreted by the ECJ, now makes it very difficult to effectively enforce patent claims for biotechnology inventions in the EU. We believe this undermines the intent of the Directive’s drafters and, more importantly, violates Article 27 and/or 30 of the TRIPS Agreement. The European biotechnology industry should therefore consider initiating discussions with various EU institutions including the EU Commission and the European Parliament, as well as the member states, to amend the Directive to clarify that for biotechnology inventions, patent infringement can occur regardless of whether the patented genetic information is performing its function at the time of alleged infringement. 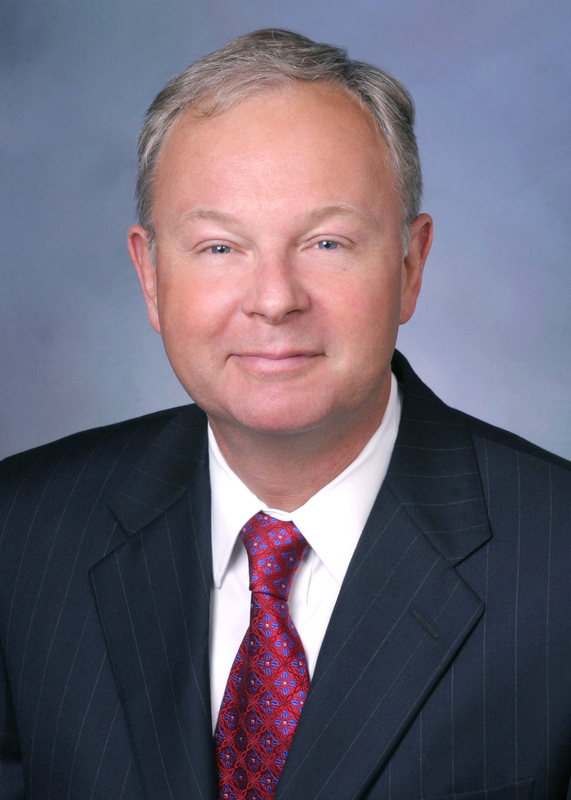 Richard Peet, J.D., Ph.D. is a partner with Foley & Lardner LLP who works in the firm’s Washington, D.C. and Brussels offices. The views expressed in this article are his own and not those of Foley & Lardner LLP or the firm’s clients. Richard can be contacted at rpeet@foley.com. 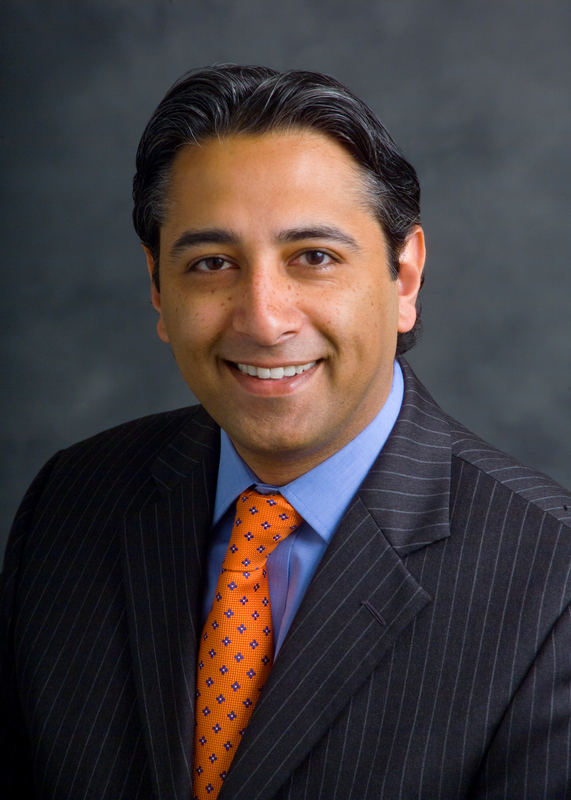 Vid Mohan-Ram, J.D., Ph.D. is an associate with Foley & Lardner LLP who works in the firm’s Washington, D.C. office. The views expressed in this article are his own and not those of Foley & Lardner LLP or the firm’s clients. Vid can be contacted at vmohan-ram@foley.com. Philippe Vlaemminck is the Chair of Vlaemminck & Partners located in Brussels, Belgium. Philippe is an expert in EU law and has represented many clients in the ECJ. The views expressed in this article are his own and not those of Vlaemminck & Partners or the firm’s clients. Philippe can be contacted at ph.vlaemminck@vlaemminck.com. "The Future Of Biotechnology Patents In The European Union" by Intellectual Property Watch is licensed under a Creative Commons Attribution-NonCommercial-ShareAlike 4.0 International License. How mad you have to be to patent food.